Jackie Kennedy Onassis was the wife of John F. Kennedy, and U.S. First Lady from 1961 until her husband’s assassination in 1963. 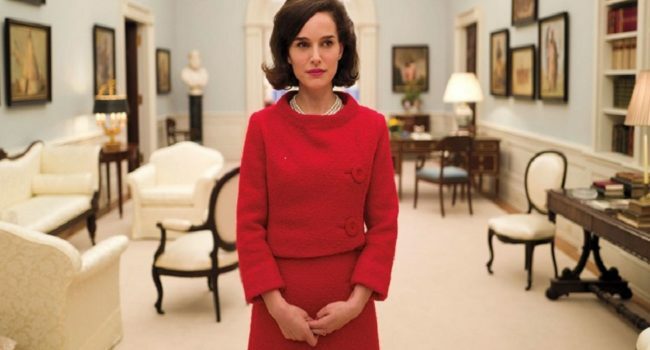 In the film, Jackie, Natalie Portman channels the iconic style and elegance Jackie O became famous for. Pillbox hats, white gloves, pearls, and wool skirt suits were part of her signature look, which would later become known as the “Jackie” look. Donald Trump an American businessman, television host, author, and politician with a larger than life personality. He shocked America when he announced his candidacy for U.S. President, and America shocked the world when they gave him the Republican nomination.